July 2012 saw horrific fatal accidents near boats and boat docks. A 26-year-old woman was swimming with family in the Lake of the Ozarks was electrocuted when she touched an energized dock ladder. 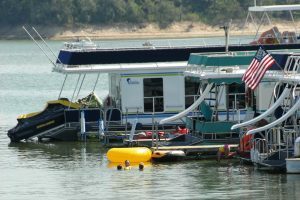 Also at Lake of the Ozarks, a 13-year-old girl and her 8-year-old brother received fatal electrical shocks while swimming near a private dock; officials cited an improperly grounded circuit as the cause. In Tennessee, two boys, ages 10 and 11, lost their lives as they were shocked while swimming between houseboats on Cherokee Lake, a result of electricity entering the water apparently through frayed wires beneath the boat. An important step in helping prevent such tragedies is to ensure proper installation and maintenance of electrical equipment on docks and on boats. Take the time to inspect all electrical systems on or near the water. All electrical installations should be performed by a professional electrical contractor familiar with marine codes and standards, and inspected at least once a year. Docks should have ground fault circuit interrupter (GFCI) breakers on the circuits feeding electricity to the dock. Regardless of the size of boat, maintenance of the electrical system should be done by a professional familiar with marine electrical codes. Have your boat’s electrical system checked at least once a year. Boats should also be checked when something is added to or removed from their systems. Boats with AC systems should have isolation transformers or equipment leakage circuit interrupter (ELCI) protection, comply with ABYC standards, and be serviced by an ABYC Certified® Technician. Shout to let others know. Tuck your legs up to make yourself smaller. Try to go away from anything that could be energized. Do not head to boat or dock ladders to get out. Throw them a flotation device. Unplug or turn off the source of electricity as quickly as possible.